Akureyri is situated in north-east Iceland, in one of the longest fjords in the country and is surrounded by mountains reaching 1000-1500 m. The Arctic Circle in only 60 km north of Akureyri but still the climate is mild, with summer temperatures up to 25°C and winter temperatures in average around 0?C. Akureyri is the second largest urban area after the capital area of Reykjavík, with a population of about 17200. Akureyri is the centre of trade and services in northern Iceland. It is also a town of culture and education, building on a firm foundation. 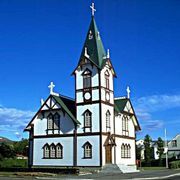 Akureyri is a popular tourist destination for short or long visits. The town offers a wide range of activities and interesting places e.g. notable museums, the world's most northerly botanic garden, one of Iceland’s most popular swimming facilities, 18-hole golf course, the best skiing area in the country, good hiking trails and free city bus. Our guests can choose between varied accommodation and excellent range of restaurants, some of which specialise in local food. The town is also a good base for many of Iceland’s most beautiful natural wonders as waterfalls, volcanic areas and canyons as well as exciting activities as river rafting, hiking, fishing, whale watching and horse riding. Hotel Harpa is a modern property located in the city centre of Akureyri, 100 metres from the Art Museum and one kilometre from the Botanical Gardens. 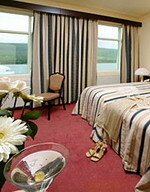 Akureyri Airport is five kilometres from the hotel, a five-minute drive. Guests of Hotel Harpa can unwind over drinks in the bar, and surf the web with complimentary Internet connections in public areas. Multilingual staff at the 24-hour front desk can offer currency exchange, and business guests can use conference halls at the neighbouring Hotel Kea. Hotel Harpa's restaurant, Rosagardur, serves a selection of French food, as well as traditional Icelandic dishes specialising in fresh fish, in a light, modern setting. Akureyri is Iceland's northern capital, and offers the most museums in Iceland. The most visited being the Folk Museum and Art Museum. 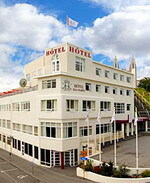 Hotel Kea is positioned in the capital city of North Iceland, Akureyri Town, and stands within 500 meters of tourist information and a bus terminal. Several museums and gardens are one kilometer away. Akureyri Airport is within two kilometers of the hotel. The Rose Garden Restaurant serves Icelandic specialties and boasts a wine collection. Conference halls and rooms are fully equipped with business amenities and can accommodate 270 people. High-speed wired and wireless Internet access is accessible throughout the hotel. Each of the 73 guestrooms offer satellite television. Amenities include minibars and coffeemakers. Complimentary toiletries are featured in private bathrooms. 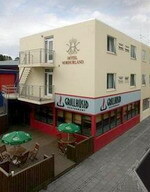 Hotel Nordurland is located in the centre of Akureyri town. Plenty of restaurants, bars, cafes, and shops are in the neighbourhood. The hotel has 34 rooms all equipped with private facilities , coffee and tea making facilities, refrigerator, telephone, Satellite TV and radio. The in-house restaurant offers wide range of menus. Gym and spa within 5 minutes walking distance - 20% discount at the gym and 10% at the spa for hotel customers .